I chose this 5K on Thanksgiving Day because the start/finish line was 2 miles from my front door! It's proximity made for a nice warm-up run up to the race locale and a nice cool-down run back home. The course was flat and fast, basically circling Northwestern's campus. There were enough people to make it competitive but it never felt crowded. The swag is an awesome stocking cap! They also had pins for anyone who "beat the turkey" (a man dressed as a turkey running around 6:45/mile). There were two self-selected waves: Wave 1 for anyone running faster than 10-min miles, and Wave 2 began 5 minutes later. There were mile markers (I didn't see Mile 2 and wish I'd kicked it in sooner!) and an aid/water station. There wasn't an EXPO, per se, but there were some tents around the start/finish area that local businesses were running. The race day bib pickup and registration stuff seemed to be really easy and convenient, although the line for A-I last names was really long when I got there, and I would be surprised if everyone in that line had their bib prior to the 9am start time. Other than the long lines for bibs on race morning, I would 100% recommend this small-ish 5K race to anyone who happens to be in the Evanston area on Thanksgiving Day! "Things have changed - some for good some for meh." I believe this was my 5th time doing this race, and I will definitely keep coming back. Flat and fast and right along the lake (return trip at least). It's an out-and-back course, and the highlight is still finishing near the 50-yard line on Soldier Field. Since my last running of the this race two years ago, they've moved the starting lines to be inside the stadium, right by where you finish. This was actually pretty cool and a nice change. The opening "hoopla" was very long and the race didn't actually begin until about 8 minutes after its planned start time. The mile markers were completely off. Running at about a 6:30 pace, the first mile took me almost 10 minutes and the second only about 4. This had never been an issue before. I also remember them having clocks at every mile marker, but those weren't present this year. "My Favorite Race in Chicago!" Another gorgeous day and another great run! This was my fourth (maybe fifth?) time doing this 10-miler, and I will sign up for it every year, as long as I'm able and available to run it. All aspects of the event are run very professionally. For those looking to finish a winter/spring training season or kickstart a summer season, this race is perfect! I'm sure it'd be a lot of fun to do it casually, too, but the course is so flat and fast that I've always succumbed to my desire to run it aggressively. The water/gatorade and aid stations are plentiful for a race of this length, and it's fun to be able to run under McCormick Place, on Lake Shore Drive, and on Soldier Field. This is a great race experience for both locals and for those looking to vacation in Chicago for the long Memorial Day weekend, especially since it's on the Saturday of a 3-day weekend (for most)! * The Lake Shore Path isn't closed to bikers and runners, so you have to pay attention. I imagine, if you're running in a pack, it could get pretty crowded. * If you happen to be anti-armed forces, do not run this race. It's intended to be in honor of those who've served our country - hence the Memorial Day weekend date - and this message is aggressively communicated. If you appreciate what our servicewomen and servicemen do, you will love the patriotism and celebration of these individuals! * The traffic along Lake Shore Drive gets backed up pretty deep for parking at Soldier Field, but you shouldn't have a problem if you arrive 45-60 minutes ahead of race time. * This isn't a "scenic" run, if you're hoping to see Chicago. If that's your goal, do Chicago's Rock & Roll Half-Marathon in July or the Chicago Marathon in October, both of which I've reviewed on BibRave! 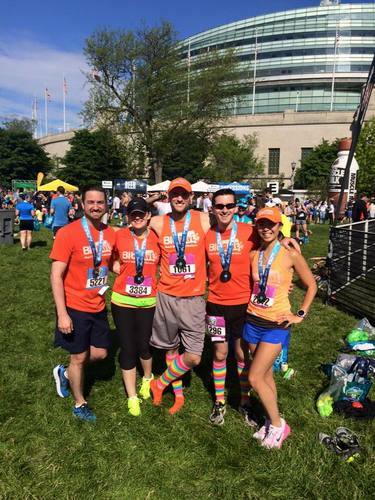 "Fun, Affordable, & Small Spring Race in Chicago!" 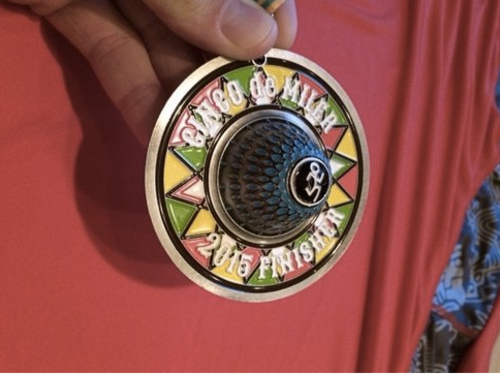 For those unfamiliar with Chicago and the Soldier Field run, the Cinco de Miler was flat and fast. It starts near Soldier Field (where the Bears play), you run 2.5 miles south on Lake Shore Drive (a parallel access road and then one lane of LSD that's closed to traffic) then turn around and run straight back up the lake shore path (runners and bikers). The race is managed by RAM racing, and it appeared they're really putting their best foot forward to make this race a big/great event. The shirt and medal were awesome! There were a lot of festivities at the start/finish area, and you definitely get a lot for the $50 fee, which I got despite signing up 5 days before the race. You can submit a time from a previous race and get put into corrals, if you're trying to go fast and don't want to weave through people. Parking was easy and abundant, and you could access the race via public transit if you don't mind walking for 15 minutes. There were also 2 water stations on the course. For those already familiar with Chicago, it was great to find a $50 race in early May in Chicago! A 5-miler is also a great distance coming off of a spring marathon (Boston in April) and heading into a summer of shorter/faster runs (10-milers and half-marathons). For people wanting a tune-up prior to the Soldier Field 10-Miler in late May, this is perfect! The course is basically the same as the Soldier Field 10-Miler but only goes 2.5 miles south then turns back around and comes up the lake shore path. * The lake shore path remains opened to the public. It was a colder/rainy morning this year, so the path wasn't busy, but if the weather had been nice, it probably would've been pretty crowded with bikers and joggers. * The "scenery" isn't much, but you know this going into it, if you're familiar with Chicago. * Unlike the Soldier Field 10-Miler, you don't actually ever get to access Soldier Field. You aren't really even that close to it. 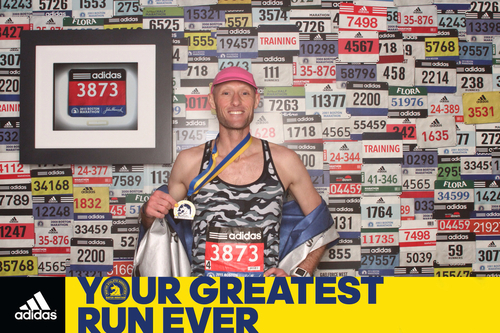 "The most enjoyable run of my life!" I'll begin by acknowledging this review is heavily biased due to the great race day I experienced. My goal leading up to this race was to get to the start line injury-free, which I happily accomplished. My goals for the race itself were to simply run the whole thing, take in all the spectacle, and enjoy every minute of it; I also accomplished these goals. Regarding my time/pace goal for the day, I did not have lofty ambitions: I would've been thrilled to run a time 10 minutes slower than my qualifying time. I planned to run conservatively through Heartbreak Hill (mile 21), see what I had left in my tank with 5 miles to go, then maintain or kick it in. I ended up having a full tank and ran a 5-minute negative split due to my last 5 miles. Thanks to having done prior runs in Barrington, Galena, San Francisco, Napa, and Madison, the hills on the Boston Marathon course seemed easy! The course is very unique because of all the long downhills, but it's not a course to be frightened by if you are able to get in some hilly training runs. Almost everything about the event is awesome. Even cold, windy, and rainy conditions couldn't ruin the race experience. * The Expo was way too crowded. It had a lot of stuff but was packed into such a small space that you couldn't comfortably walk around or see all the merchandise. * This is absolutely not an event for spectators expecting to see a friend or family member running the race at multiple locations. Having spoken to many people who have run and watched this race before, people are oftentimes lucky to find their runner one time! A man I spoke to said it took him 8 years to figure out a way to see his wife twice during the race. * The energy from spectators was amazing, no doubt, but I don't think it's necessarily any more awesome than the crowd at the Chicago Marathon. The awful weather conditions possibly contributed to the crowd size and energy, of course. Ultimately, this is a "bucket list" race for anyone who can qualify. The atmosphere - history, sense of accomplishment for just being there, palpable excitement and energy throughout the race - is second-to-none!